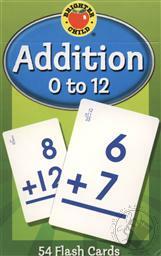 Brighter Child Addition 0 to 12 Flash Cards offer children a fun and easy way to practice their addition skills. 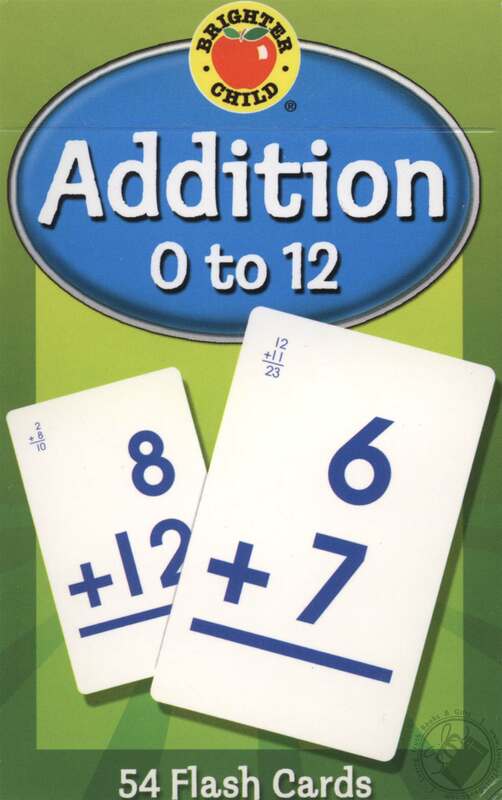 The set features 54 cards with two addition problems each, their answers on the opposite side. 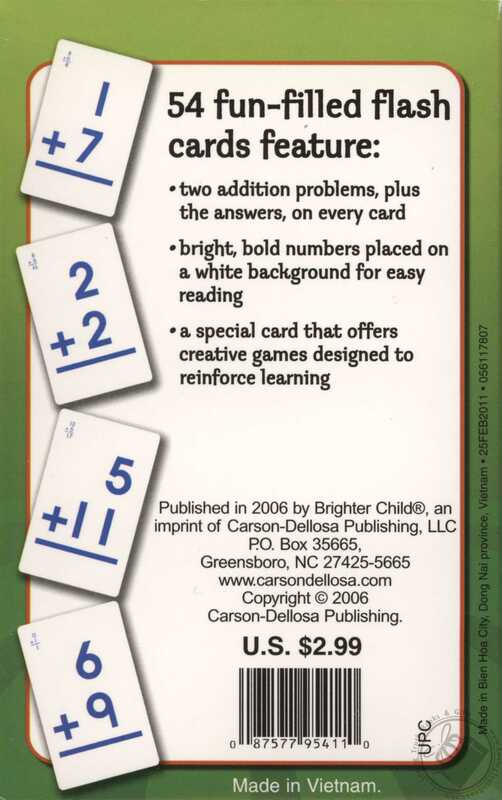 Bright, bold numbers are placed on a white background for easy reading, and a special card also offers creative game ideas designed to reinforce learning.